For the past six months, since full planning approval was obtained late in December, the Trust has been in discussions with an investor - who does not wish to be named at this stage - who has offered to fund the majority of the costs of constructing the Trust's New Hangar at Doncaster Sheffield Airport on land that has now been purchased by the Airport. In parallel, building contractors have provided costs for the build, and a small amount of preparatory work at the site has been carried out. Having agreed in principle the terms of the investment, our discussions have now moved on to detailed negotiations between sets of solicitors. When this process is completed, we will be able to make further announcements including our planned timescale. We do however hope that the hangar will open and have access to XH558 available in 2019. 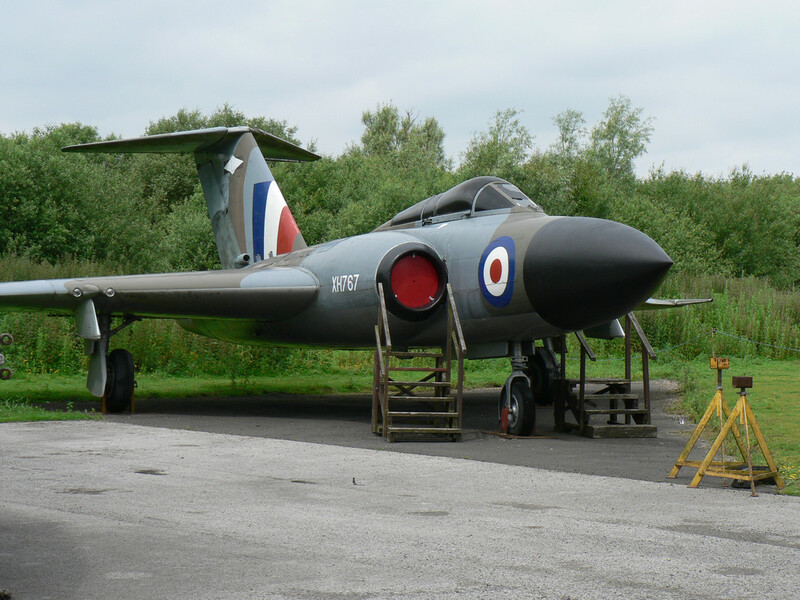 In addition, we are in discussions with others for the remainder of the funding required to turn the new hangar into an exciting visitor attraction for South Yorkshire. We are very grateful for the patience of our supporters during this long and involved process, on which by its nature has meant we have been unable to offer frequent, detailed updates. We are confident that this plan will allow us to fulfil our aspirations of honouring the past and inspiring the future, while giving XH558 a fitting, relevant and secure home in the very long term. It will be great to get XH558 inside, as well as WK163 in to prepare her for flight again. I know outwardly the Canberra isn't as 'exciting' as the Vulcan but this one is a Record Breaker and deserves to be back in the air. Its a (technologically speaking) simple aircraft, rods and wires and a couple of Avon engines. Ah, the good ol' Flat Iron. The UK put some amazing aircraft into production back then. It always surprises me how big it is up close. Great video Mr O she looks splendid as she soars through the air. Awesome, thanks very much James, great footage. My dad used to fly in practice interception sorties at night against the Vulcan always remarked how manouverable they were and especialy as regards their turning circle at high altitude against his intercepting Javelin. My dad used to fly in practice interception sorties at night against the Vulcan always remarked how manoeuvrable they were and especially as regards their turning circle at high altitude against his intercepting Javelin. Roly Falk (the Vulcan Test Pilot) always got a bollocking because 'bombers are not supposed to be flown like fighters' The cockpit might have been very cramped, but Roy Chadwick designed a beautiful looking and wonderfully performing aircraft. My dad saw Roly loop the prototype at the '53 Farnborough Airshow. Now thats something worth paying to see. “The best air-to-air film of the Vulcan that I’ve ever seen. Quite thrilling for me to see, stirring fine memories. I might have told you of the practice night interceptions we made in Javelins on Vulcans. Fifty thousand feet...all Vulcan lights “off”...and it carrying out evasive action in really tight sixty degree turns ...as manouverable as the Javelin. Quite incredible.